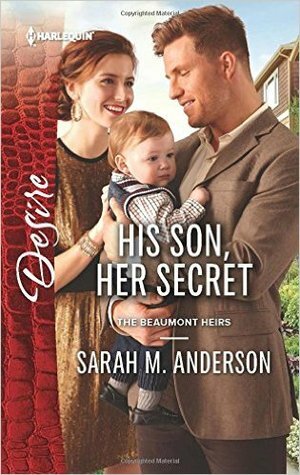 I really enjoyed this continuation of the Beaumont Heirs Series! Byron Beaumont has returned to Denver after living in various parts of France and Spain for more than a year. His brother’s want him to open a restaurant to go along with the new brewery they have opened. He’s hesitant, but decides to do it. He can’t help remembering plans that he and his former girlfriend Leona Harper had dreamed of about her designing the restaurant he wanted to open one day, so he tracks down the firm she’s working for and arranges for her to work with him from the ground floor of designing this restaurant. Leona Harper can’t help having her breath taken away when she sees the man she loves again, but she’s also terrified he’ll learn her secret before she’s had a chance to tell him. They have an almost 6 month old son that he knows nothing about. Bitter family feuding led Leona to not tell him who her father was when they were dating. When her father came in and destroyed his family’s business and led him to believe Leona had been in on it over a year ago, he believed she had been deceiving him and conspiring with her father, so he left town without bothering to hear her side of the story. While he felt she had left him to be her father’s crony, she believed that Byron had abandoned her because she had not gone with her father willingly. Once she had gotten all of her things and left her father’s house with her little sister, she tried to contact him, but his phone was disconnect and he was gone. Will they be able to get this mess straightened out and be a family for their son? When her father comes back into the picture making threats again, will they stand behind each other against him or will she bend to his dictating again? Can Byron forgive her for not telling him about Percy? And can she forgive him and learn to trust that he won’t up and leave again? Wow I can’t imagine trying to work out that sort of issue – a secret child is a pretty big one!